“These landscapes of water and reflections have became my obsession. They are far beyond my old man powers and despite everything I want to succeed in conveying what I feel. 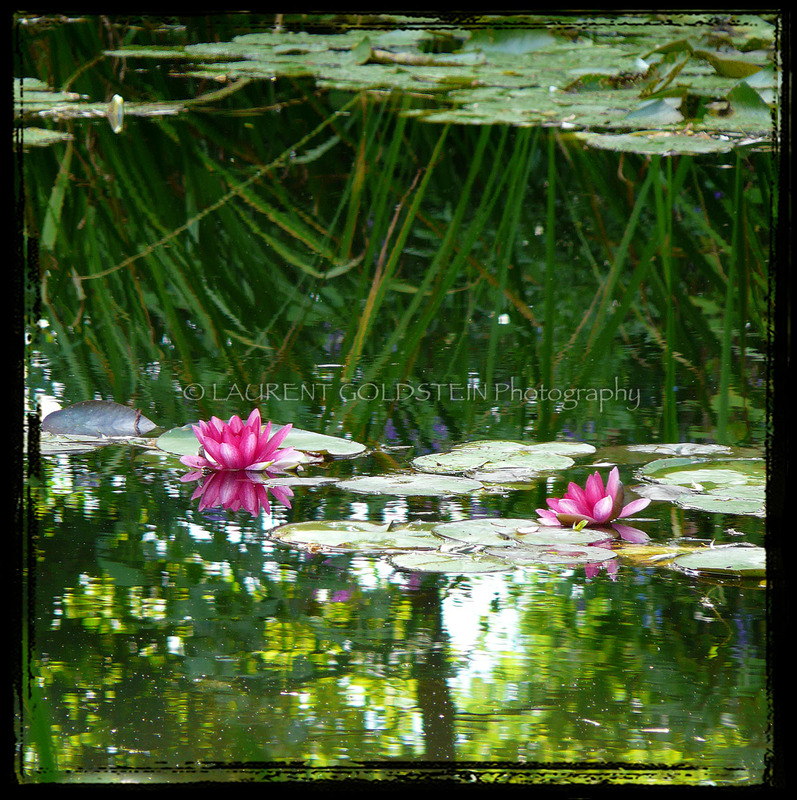 This image belongs to the series of pictures which is a tribute to the Water Lilies (or Nympheas) by French Impressionist Claude Monet. “Suddenly I had the revelation of how magical my pond is. I took up my palette. 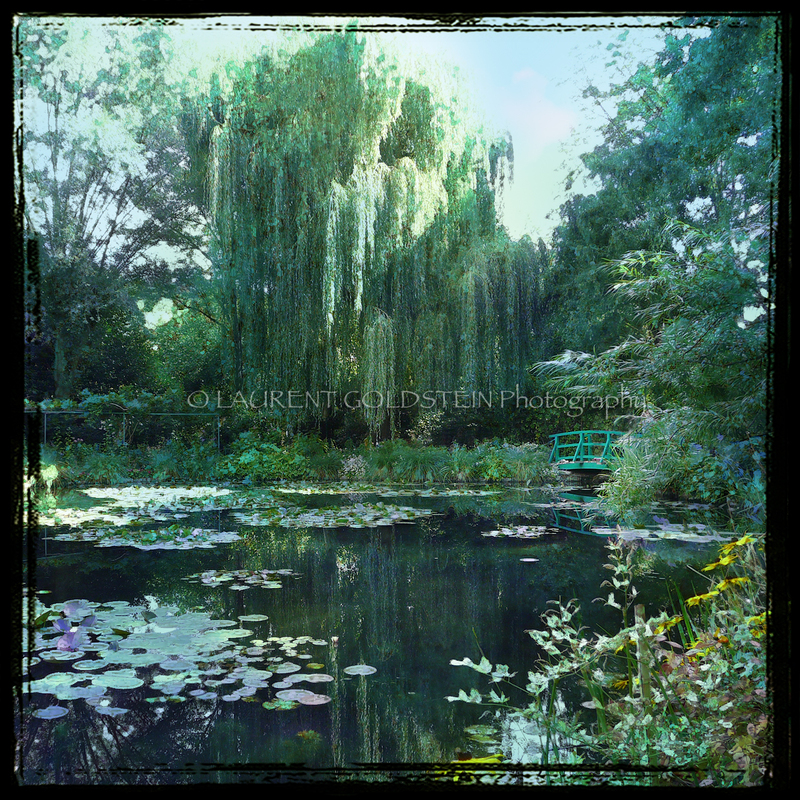 Like Waterlilies, some of Monet’s most important explorations in color and composition were made in the gardens of his home at Giverny, some 30 miles west of Paris. 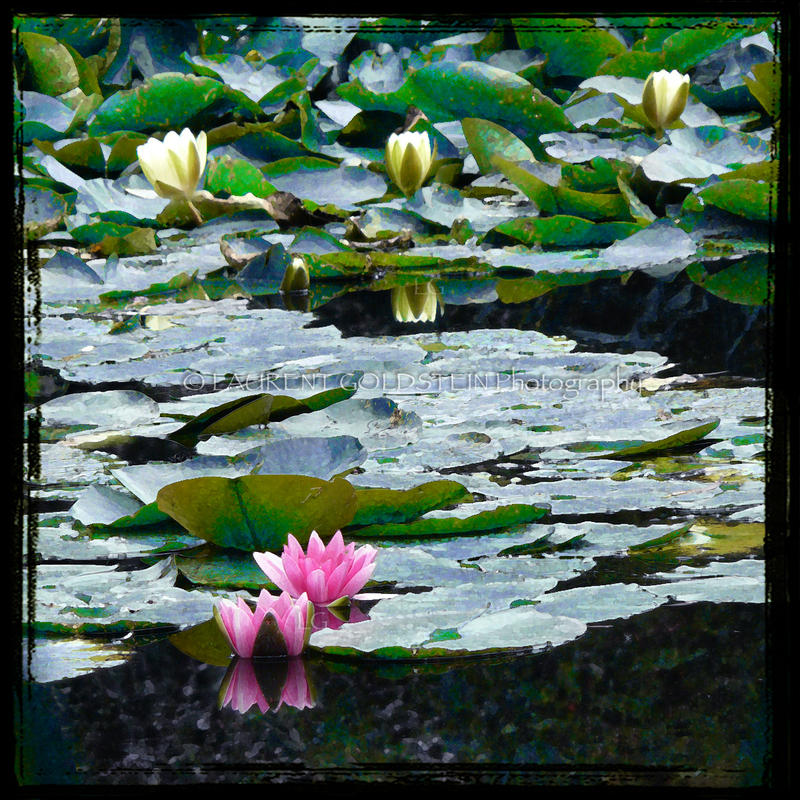 He had installed an ornamental water garden that proved to be the focal point for dozens of his explorations of color and light. 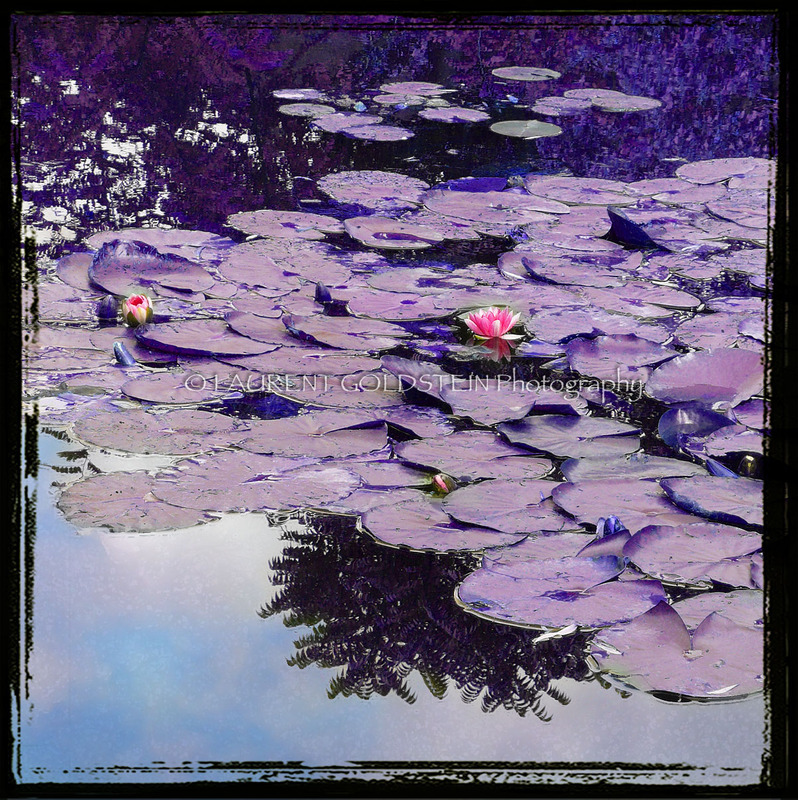 Monet began painting his waterlily scenes as a nonintentional series of color and light studies. His repetitive studies of various features of the French countryside around him – poplar trees, haystacks, snowbound villages, and even the façade of the Rouen Cathedral – show an artist whose keen eye and searching intellect were not content to rest after capturing the effects of light, shade, and color only once. “They are bringing the canvases to me one after the other. A color that I had found and sketched on one of these canvases yesterday reappears in the air. I am quickly given this painting and strive to fix this vision as permanently as possible. 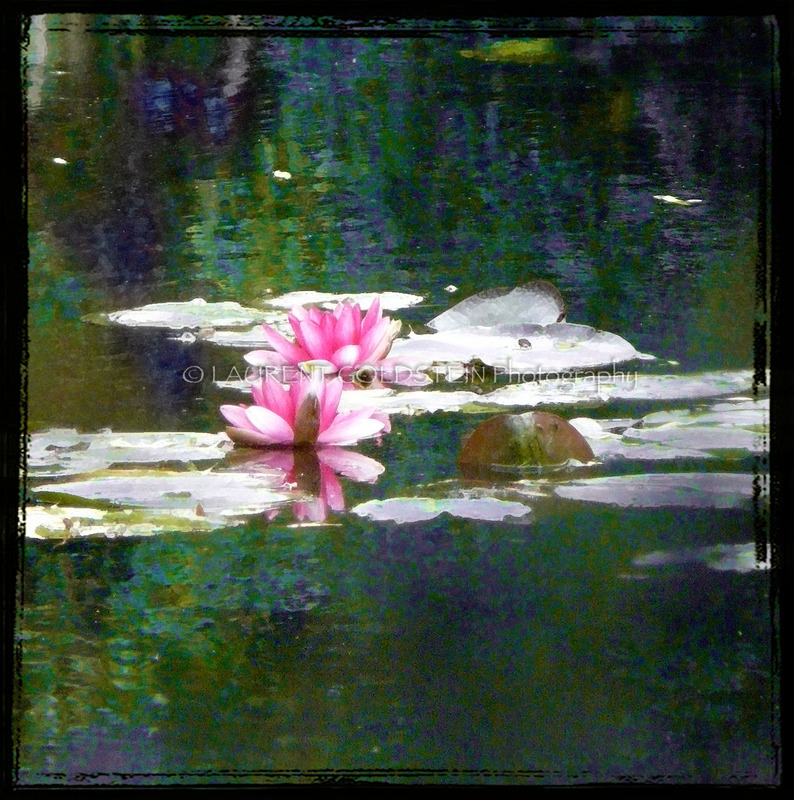 This is a tribute to the Japanese foot-bridge over the water-lily (or Nympheas) pond in Giverny by French Impressionist Claude Monet. This picture was shot in the beautiful and serene Lodhi Garden in Delhi last May before a storm. The Lodhis were a pashtun Muslim dynasty which ruled much of Northern India during the 16th century. 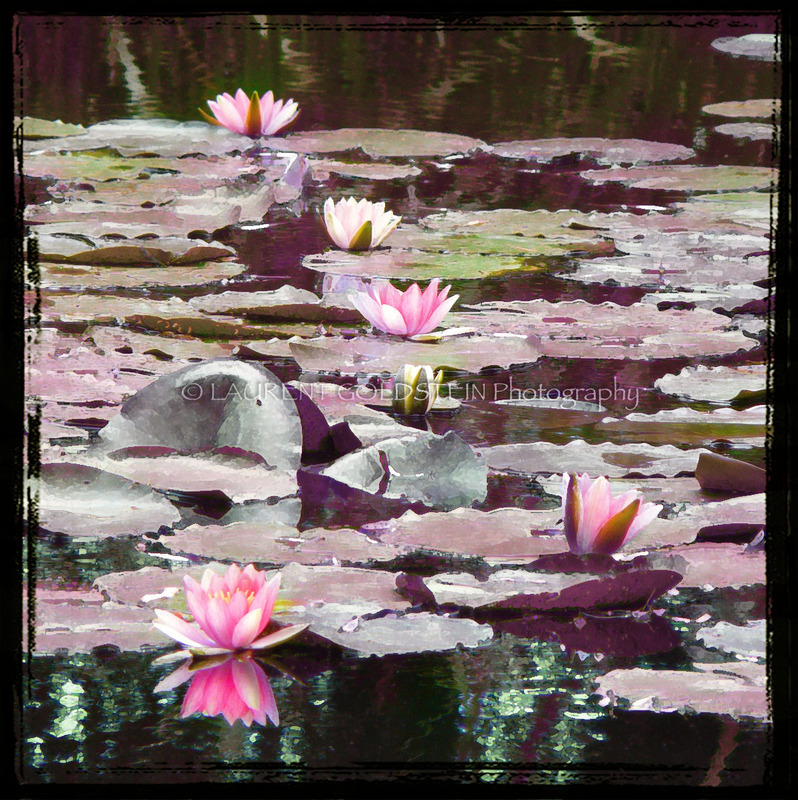 The lotusses in this pond were reminding me the Water Lilies (or Nympheas) by French Impressionist Claude Monet (1840-1926). This is a series of approximately 250 oil paintings which depict Monet’s flower garden at Giverny and were the main focus of the artist’s artistic production during the last thirty years of his life. During the last years Monet suffered from cataracts. In 1923, Monet had a lens removed from his right eye, correcting this but also allowing him to see ultraviolet light (which the lens usually blocks), and he began painting the water lilies in a more blue shade. I found funny to work on this series of images as a kind of tribute to this artist and it is a new subject for me which allows me to play with colors. Besides I enjoy making links into that Indo-Western topic that I usualy show in my photostream even if here it’s only coming from my imagination. Although the title is an allusion to another impressionist painting “Bonjour Monsieur Courbet”.